Air pollutants combined with prolonged weathering can seriously damage brickwork, stone and other materials used in listed buildings. At Aqua Blast, we employ a range of sensitive cleaning practices, restoring stone and brickwork surfaces to their former glory, without the risk of damaging them. 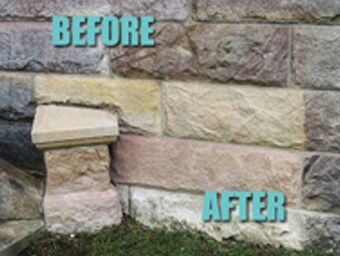 From churches and monuments, to protected buildings and heritage sites, we have the skill and the experienced required when restoring historical stonework. AQUABLAST building cleaning, If your building is in bad need of restoration, or even just a deep clean to bring back its original colour, Aquablast can provide a wet- blasting system which will bring your building back looking like new or Steam cleaning your building at 120 degrees get ride of grim and dirt.